During the summers of 1902 and 1903, the Bowdens visited Desbarats, Ontario, Canada, not far from where Charles had grown up amidst the Ojibwe community living in that region. L.O. Armstrong, a local agent for the Canadian Pacific Railway and an ardent admirer of Henry Wadsworth Longfellow, was by then presenting dramatizations of Longfellow’s poem, The Song of Hiawatha. Members of the nearby Garden River Ojibwe tribe performed in the play. Katharine and Charles Bowden photographed and filmed the presentations over two summers, and then assembled their lantern slides and films to create A Pictorial Story of Hiawatha. Over the next seven years, the Bowdens traveled the Redpath Chautauqua Circuit, Katharine reciting the legendary poem as Charles projected the images they had photographed and filmed in Desbarats, Ontario. 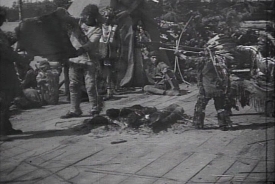 These films seem to be the earliest film representations of the Hiawatha play that are in existence today. There is evidence that Joseph Rosenthal filmed the live performance during the same time for the Charles Urban Trading Company, but none of that footage has been found. 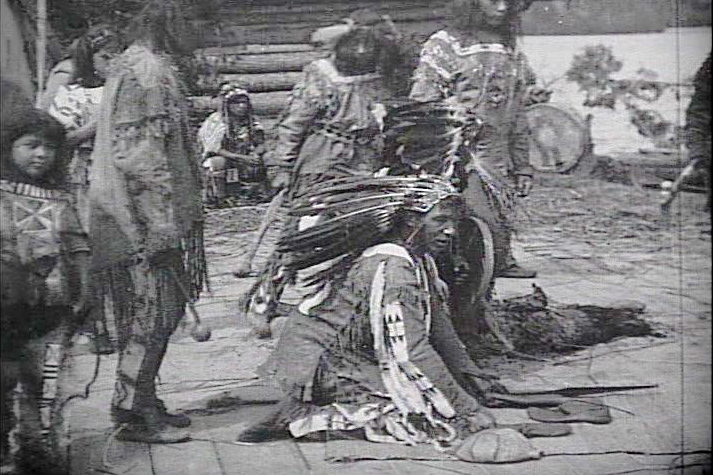 Nevertheless, Katharine Ertz-Bowden claims that she and her husband were the first to film the Ojibwe dramatization on the northern banks of Lake Huron. After retiring from “entertainment” in 1910, Ertz-Bowden returned to Valparaiso University, working there as a librarian, associate professor and archivist. 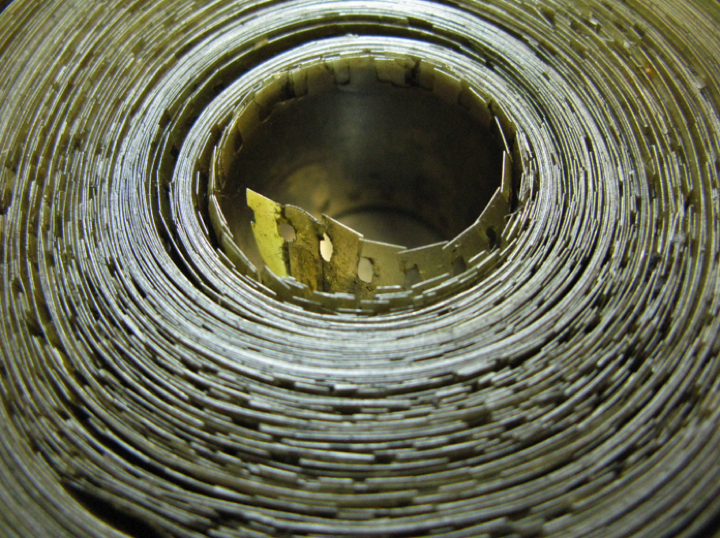 She passed away in 1965, leaving behind at the university a collection of lantern slides, pamphlets, newspaper articles, and other documentation that begin to bring context to the 710’ of 35mm nitrate film that sat there as well. There are a number of layers to this history. At the foundation lie the Ojibwe men and women seen in these films, and their alliance with the white man’s portrayal of their native culture. This alliance was in part instigated by tourism and sought to tell the romantic story of Longfellow’s Song of Hiawatha through a live dramatization. 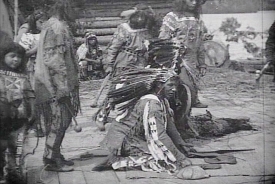 With new technology in hand (the motion picture camera), the Bowdens were able to further disseminate and perpetuate this “story” of the native as they lectured across North America with the Redpath Chautauqua Circuit. Katharine was breaking new ground, being one of a handful of female lecturers in the Chautauqua circuits. Additionally, the Bowdens were not far behind Burton Holmes – Father of the Travelogue – in the use of motion pictures to illustrate their travel presentations. 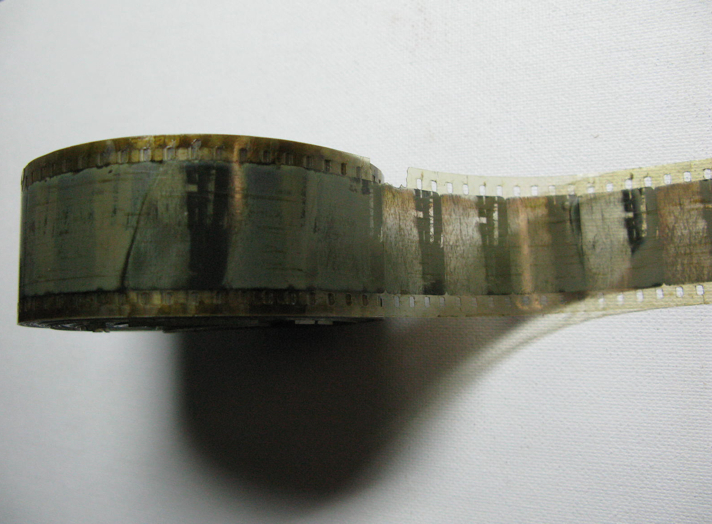 Holmes first used motion pictures this way in 1897. 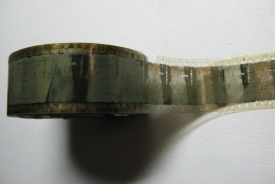 The collaboration between Valparaiso University, Chicago Film Archives and Colorlab has resulted in the restoration and research that brings these early films and their history back to life. 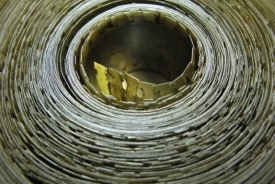 Over the past year and a half, Colorlab has labored to clean, repair, and create new 35mm negatives and prints from deteriorating nitrate films that originated on film stock not yet standardized. 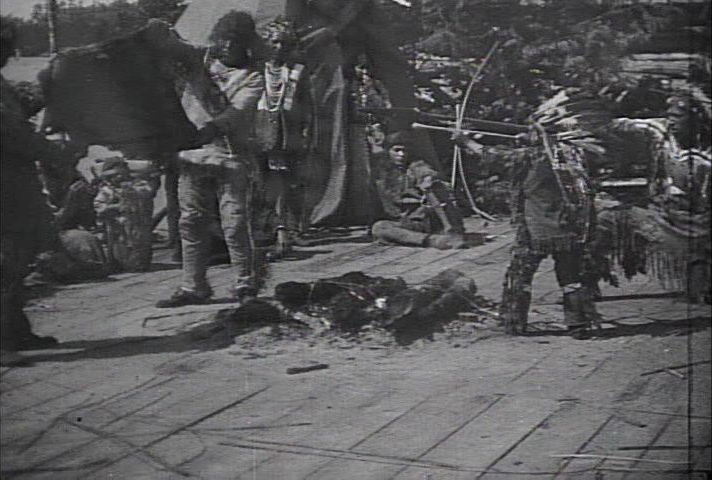 The restored footage from the Bowdens’ A Pictorial Story of Hiawatha premiered at the Orphans 7 Symposium on April 10, 2010 in New York City.